SQL Server Transaction Logs record the entire information about the transactions and data modifications made by the transactions in the server. In order to create backup or ensure the availability of transaction logs at the instance of any disaster, SQL offers two processes- SQL Log Shipping and SQL Log Mirroring. we can have Mirroring between Standard and Enterprise editions. But when you do this via SSMS (Graphical Interface), you might end up with following error message. 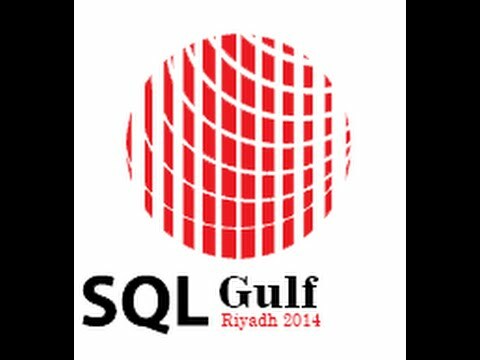 But when we use T-SQL statements, we were able to setup database mirroring and which worked perfectly fine too. This mirroring configuration is not supported. Because the principal server instance, <server_name>, is Standard Edition, the mirror server instance must also be Standard Edition. Now if I have 3 Servers with 3 SQl server Instance but this servers not trusted = Not in domain this servers in workgroup but now I won’t to create mirroring but the last step in Mirroring Configuration need from the Services Account What I will write and the servers with no trusted . so what we can do to make this servers is trusted . 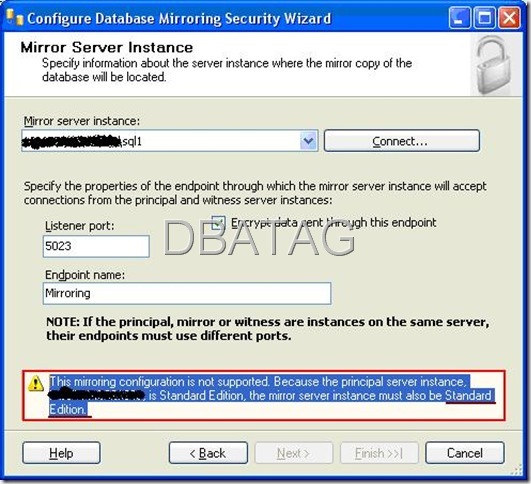 How to add or replace database mirroring witness to an existing Mirroring Database? 7- Put Services Account in my experince if you working in Workgroup and your all instance in the same windows like thie example create new user Administrator on your pc and add him in SQl Server login the use it ElSE if you use Workgroup but the SQl Servers not all in the Same pc you will use 3 Windows or 2 create Certification in your SQL Server and i will show it in the next post who to create Mirroroing With Login Certification . What is the Stander listener port in Database Mirroring Configuration?